Acupuncture and Traditional Chinese Medicine was first founded in 1995 and operates under the direction of Joanne Pritchard-Sobhani and Darab Sobhani. 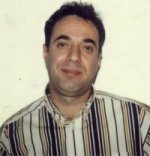 Darab Sobhani : Darab is a TCM practitioner who has been in private practice since 1995. As a faculty member, he taught in the Acupuncture and Chinese Medicine Program offered by the Institute of Acupuncture & Traditional Chinese Medicine from 1997-2003 and supervised the Clinical Practicum. Darab majored in Engineering Science at the University of Philippines. He travelled extensively throughout Asia, studying acupuncture and the art of meditation, under the supervision of private practitioners. Darab completed further clinical training at The Toronto School of Acupuncture, (Diploma), The International College of TCM in British Columbia, (Herbology) and received his Doctorate in Acupuncture and Traditional Medicine from The Open International University of Alternative Medicine, Medicina Alternativa Institute in Sri Lanka. Joanne Pritchard-Sobhani is a Brockville native and is well known as a TCM practitioner, lecturer and researcher. Joanne graduated from the Institute of Traditional Chinese Medicine in Toronto in 1995. In pursuit of more advanced clinical training in Acupuncture and TCM; she studied at the Canadian School of Natural Health Science, Toronto; Shanghai Medical University, Shanghai; Hua Shan Hospital and Longua Hospital, the Academy of Oriental Heritage, Vancouver, B.C (Herbology) and The Open International University of Alternate Medicine, Medicina Alternativa Institute in Sri Lanka. Joanne’s Doctorate in Acupuncture and Traditional Medicine is from The Open International University of Alternative Medicine, Sri Lanka. Joanne has an undergraduate degree in Psychology from Queens University and is also a graduate of St. Lawrence College. Joanne was the Director of the Institute of Acupuncture & Traditional Chinese Medicine, which she established in 1997-2003. She has taught TCM students, lectured to medical students at Queens University and many other organizations. Joanne historically has been active on a number of community boards and was Chair of the Child and Youth Worker Program at St. Lawrence College. As director of I.A.T.C.M., Joanne was politically active in lobbying for the Regulation of Acupuncture and TCM in Ontario. She also served as a CMAAC Board Member for over 10 years and was the Liaison Officer for the Professional College of TCM and Acupuncture Ontario. Joanne and Darab are members of the Chinese Medicine and Acupuncture Association of Canada, and The Acupuncture Foundation of Sri Lanka. Darab is a member of The Commonwealth Institute of Acupuncture and Natural Medicine. As members of these Associations they have achieved an approved standard of training in both Traditional Chinese Medicine / Western health sciences and are bound by the Code of Ethics and the Code of Practice of these Associations. Please note: No Association is capable of licensing a practitioner. Once regulation is complete, the College of TCMPAO as a governing body will register and license practitioners.